Baltimore offers many outdoor patios to enjoy this summer, all within walking distance of 2Hopkins’ apartments in Downtown Baltimore. Sip cocktails and nosh on some snacks while relaxing on an outdoor patio this summer. Whether you’re looking for a hidden oasis, lively terrace or a waterfront view, we have the perfect spot for you – and they’re all within walking distance of 2Hopkins‘ apartments in Downtown Baltimore. Located in the Four Seasons Hotel, Loch Bar is a Maryland seafood house offering one of the region’s largest raw bars. 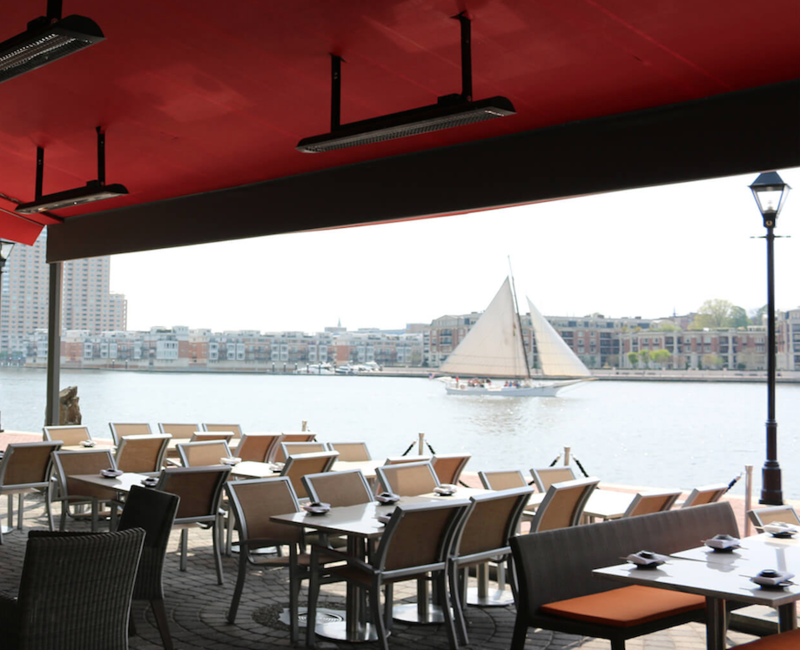 Order a shellfish tower and one of the more than 350 different whiskeys, on the outdoor patio that overlooks the Inner Harbor. Hang out at Power Plant Live!’s favorite beer garden, sipping on one of the over 30 specialty draft brews they feature, while playing lawn games or relaxing with friends by the outdoor fireplace. The beer garden offers daily specials, such as Two-for Tuesday and Burgers on the Beach every Thursday – where you’ll get half-price burgers if you’re wearing a Hawaiian shirt. Forno offers a cozy patio surrounded by shrubs and twinkling lights in the heart of Downtown Baltimore. Serving up modern Italian cuisine, Forno’s menu includes handmade pastas, brick oven pizza, house-cured charcuterie and an eclectic wine list. The outdoor patio is the perfect place to grab one of the Oliver Brewery beers on tap and some bar bites with friends – and it’s just around the corner from 2Hopkins. This chic restaurant offers creative Japanese fare and fresh sushi flown in each day from Tokyo’s Tsukiji Fish Market. 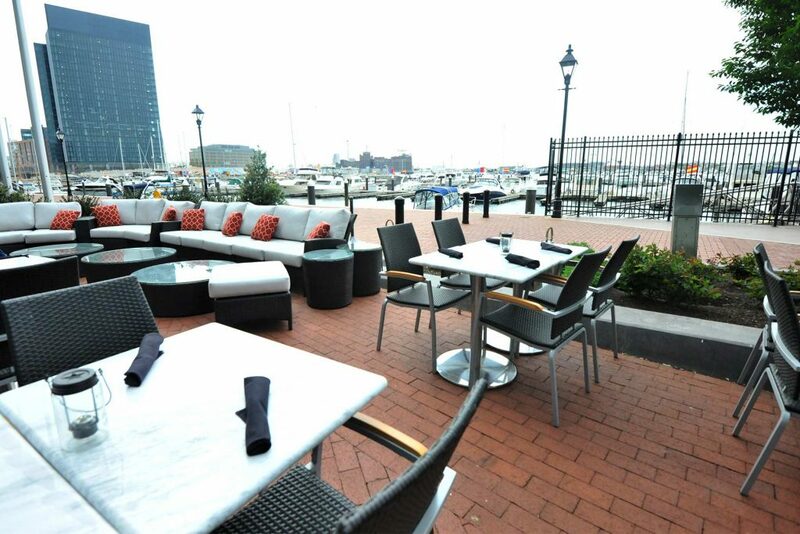 Enjoy your sushi from their waterfront patio, with panoramic views of the Inner Harbor. Right across from Camden Yards, Pickles is the go-to spot to celebrate before or after an Orioles or Ravens game. 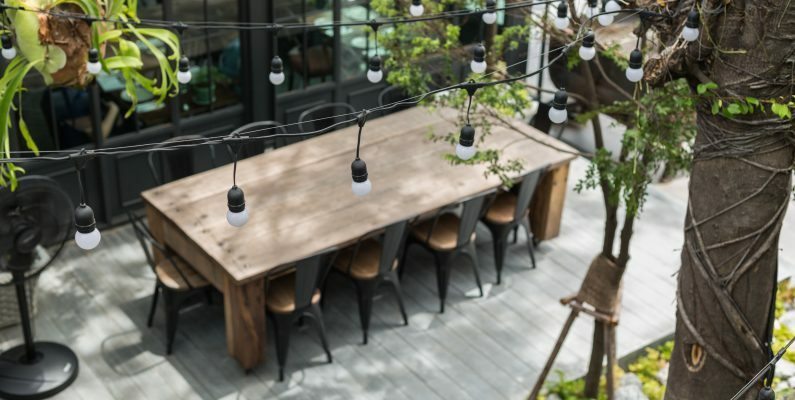 Don’t waste summer inside… Grab some friends and head on over to these outdoor patios that are within walking distance of 2Hopkins’ apartments in Downtown Baltimore. And, to really make the most of your summer, stop by and take a tour of 2Hopkins today.